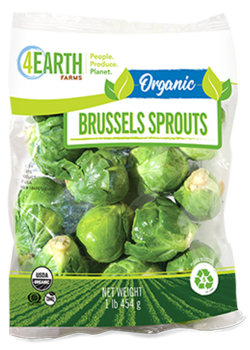 4Earth Farms has been built on a foundation of Social and Environmental responsibility, which applies to our packaging as well. We have worked hard to make sure our packaging is eco-friendly. 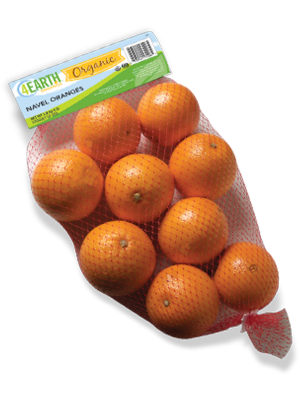 With technologies currently available in the market place, plastic remains necessary for the majority of our packaging. Because it is, we have made concerted efforts to make sure that the packaging we use is recyclable. 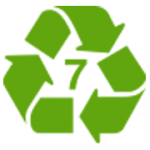 97% of our packaging can be recycled with #2 or #5 plastics, and we are doing everything we can to make it 100% as soon as possible. We have also met with leaders in packaging and attended packaging trade shows in the United States and Europe to find the better solutions. We are excited to see many cutting edge, non-plastic technologies starting to be developed. As they become commercially available, we plan to be early adopters. 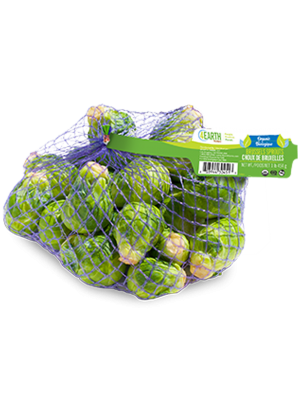 To keep produce fresh, the bag film we use is very technical. 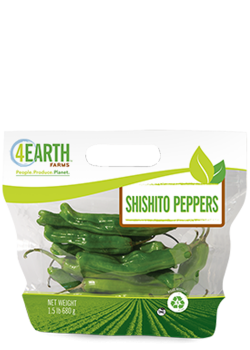 Besides a coating that keeps excess moisture from building up inside the bag, causing the vegetables to decay, the bags also contain a modified atmosphere to keep the vegetables in a state of suspended animation to slow the decaying process. 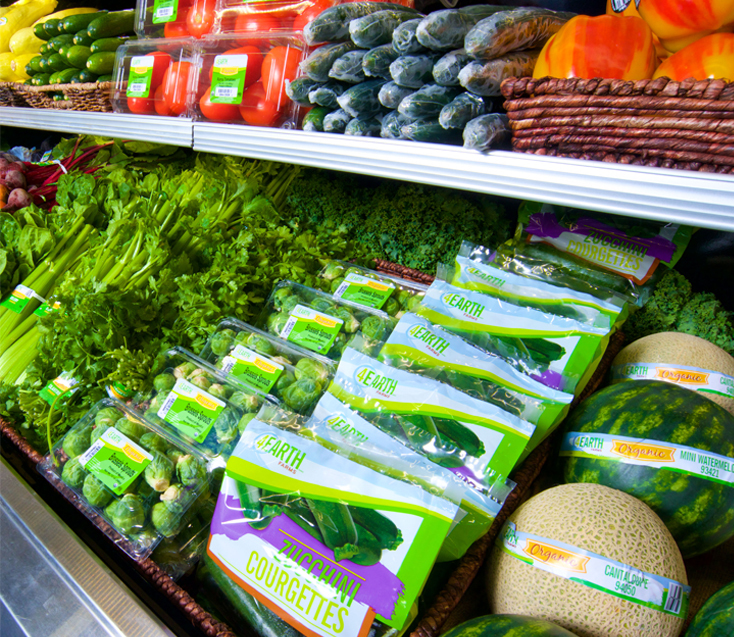 These technologies allow our products to remain fresh 14-18 days after packing, when sealed. Also, many people are unaware that by law, Organic and Conventional produce may not touch when displayed or handled. 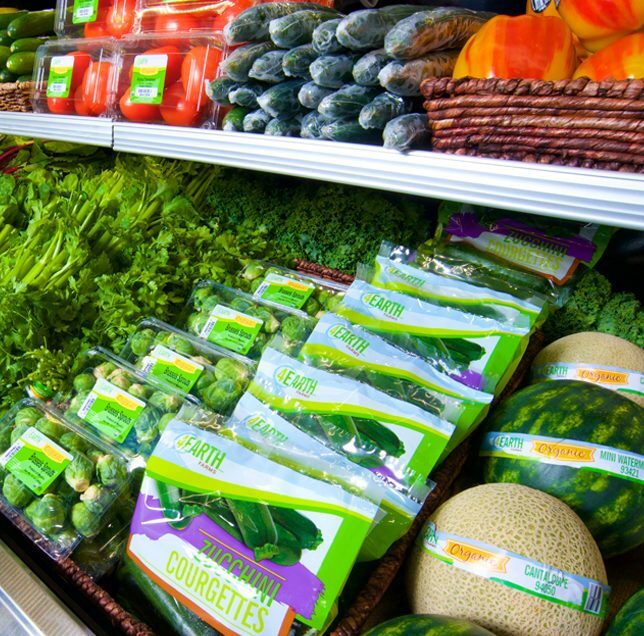 By using plastic as a barrier, stores that don’t have enough space to have a dedicated Organic store set are able to provide consumers a wide selection of both Conventional and Organic produce. 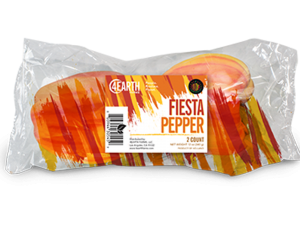 For food safety, the plastic allows us to clearly indicate the packed on date, country of origin and the Lot Number. This information allows us to have careful control and traceback of our products to make sure the products you serve your family are safe. If you have any suggestions as to how we could improve the way we bring our products to market,we would love to hear from you. 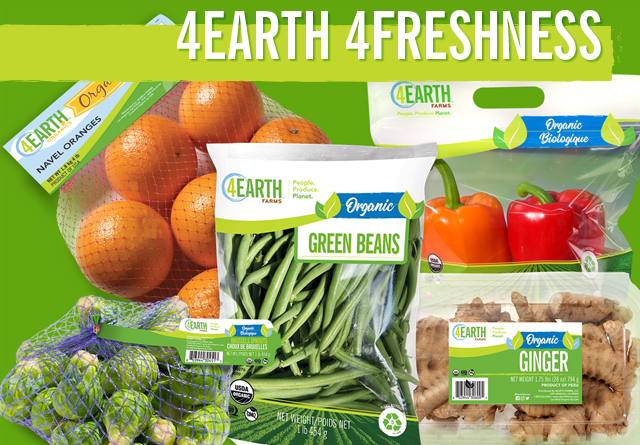 4Earth Farms focuses on utilizing packaging that has the highest recyclability and reusability. See below to learn what type of recyclable packaging we use for our products. Be sure to clean each package before recycling. Our packaging does not contain any BPA. BPA (Bisephenol A) is an industrial chemical used in making certain plastics and resins and can cause possible health effects. 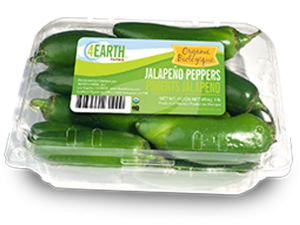 Our produce can be safely steamed in the bag in minutes when you heat them in the microwave. The easiest of plastics to recycle into bottles and polyester fibers. Widely accepted by curbside pickups and can be reused and recycled. Also readily recyclable into more bottles and bags as well as picnic tables, plastic lumber, waste bins and other products that require durability. 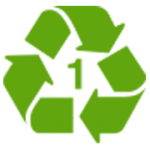 Can be reused, but recycling is not widely available. PS easily pollutes the environment due to its light weight and should be avoided due to health risks. Can be repurposed, but difficult to recycle since it contains numerous toxins. Cannot be recycled and should be avoided. Safe for use and reusable, but not commonly recycled. Before recycling netted bags, discard labels and tags. Also readily recyclable into more bottles and bags as well as other products that require durability. Before recycling plastic packaging, discard labels.